Our company provided fresh fruit hamper for any occasions . 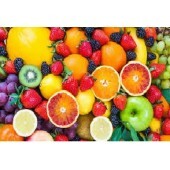 Seasonal fruit may included apple, orange, pear, kiwi, grapes, pineapple, mango, fire-dragon fruit, berries, mango, peach etc. The hamper also can come with wine or champagne, and make it in mixed flower arrangement. Send fruit hamper is suitable for birthday, get well, congratulations, traditional festival like mid-autumn festival and Christmas. Fruits may substitute as a seasonal. Seasonal fruits hamper with fresh fruits , red grapes, kiwi fruits, strawberry, sunkist oranges, pea..
Berry Bliss and Bubbles ..
A box of seasonal fruits hamper with a bottle of Anders delicious champagne, the hamper will include.. Bubbles Champagne of 75cl Moet Chondon and Fruit .. Woo.....all are fruits, a wonderful fruits basket with 15 different kind of seasonal fruits, no need..
A Colorful fruits Hamper with Yellow Bananas, Red Grape, Sunkist Oranges, Delicious Green Grapes, Pe.. 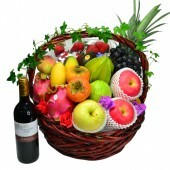 Seasonal Fruits Hamper include fresh fruits like apples, Oranges, Kiwi Fruits, Blue Berry, Red Grape..
Daily Fresh Fruits Hamper from Hong Kong Flower Shop, Red Wine, Strawberry, Grape, Apples, Kiwi , Pe..
Fresh Flowers arrange with seasonal fruits arrangement ..
A Daily Seasonal Fruits Hamper with Strawberry, Red Grapes, Juice Oranges, Apples, Pineapples, Kiwi ..
10 types of fresh fruits are included in the basket(about 12-16pcs): Japanese Aomori Apple, pineappl..
Daily Fresh Fruits Hamper from Hong Kong Flower Shop, Strawberry, Grape, Washington Apples, Kiwi Fru..